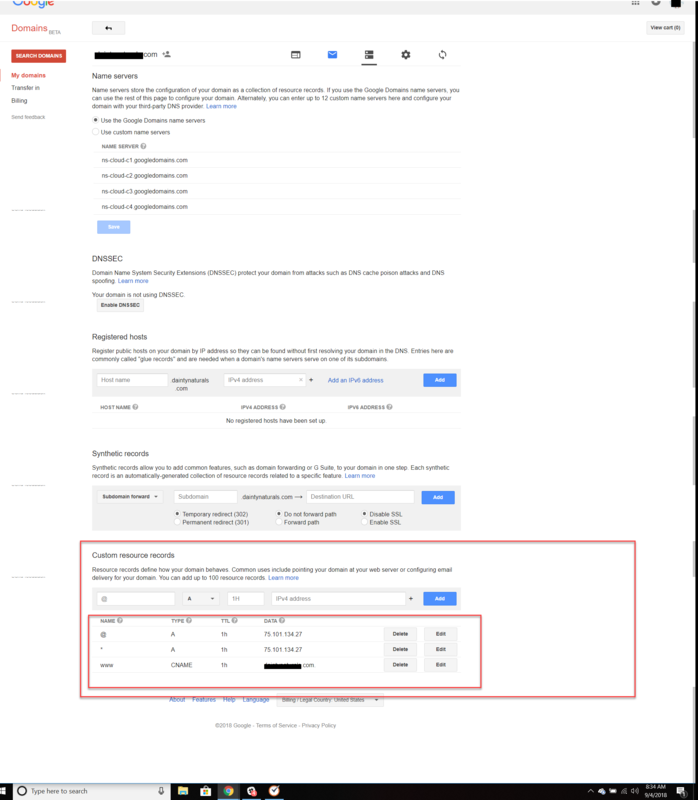 These are the steps on how to manually configure your domain through Google. ***Important***- If you are wanting to migrate a blog you can not switch your DNS records until our Showit blog team has finished migrating your blog. If you do switch your DNS records before your blog is migrated, our blog team will be unable to migrate your blog. You should see your domain listed below. Next select "DNS"
On the next screen scroll down to the bottom where you should see "Custom resource records"
Once you have set up these 3 DNS records occasionally, the changes that were made can take time to propagate throughout the internet worldwide. So if you aren't seeing it live just yet, give it another few hours, and refresh the page. In rare cases, it can take up to 48 hours for full propagation. If it's not working at that point for you, then let us know.